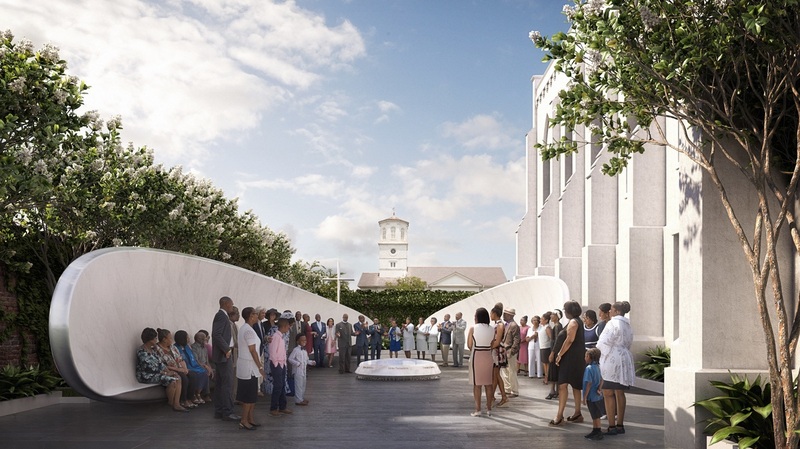 Architect Unveils Design For Emanuel AME Church Memorial The memorial honors the nine worshippers murdered by a white supremacist at the church in Charleston, S.C., in June 2015. 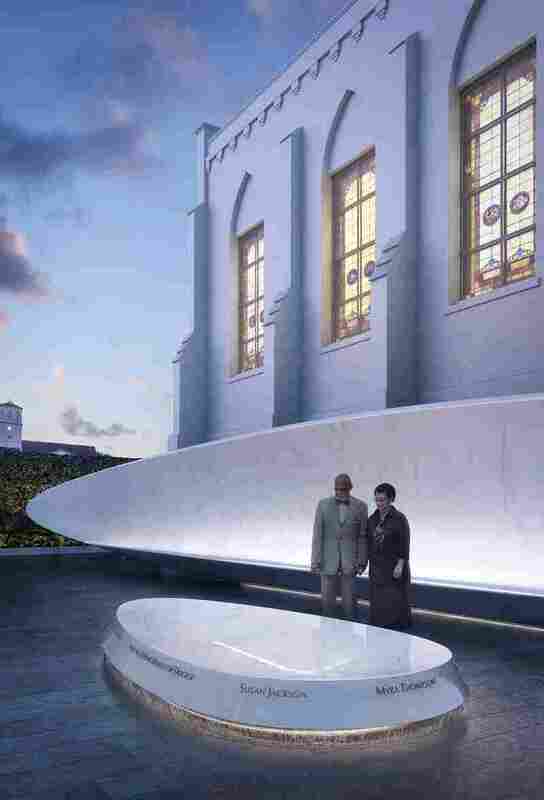 It is designed by the architect behind the Sept. 11 memorial in New York City. 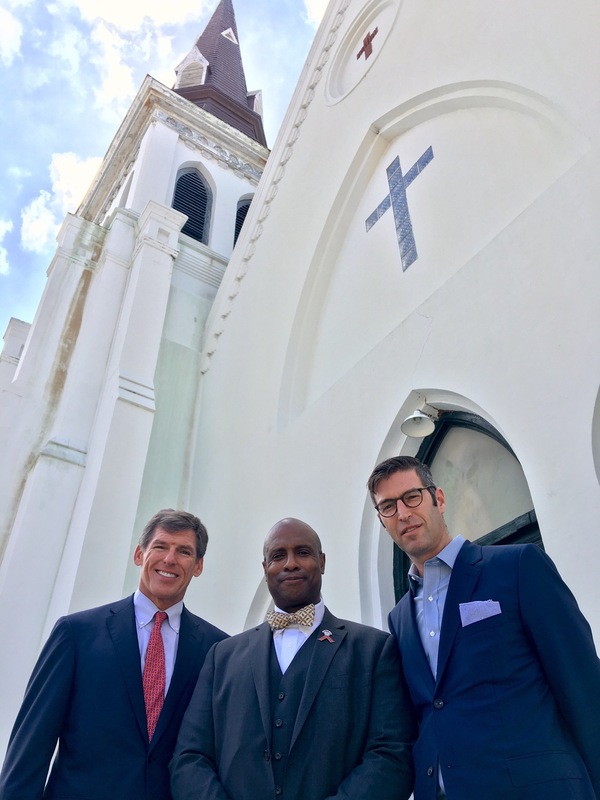 John Darby, president of the Beach Company (left); the Rev. Eric S.C. Manning, pastor of Emanuel AME Church (center); and architect Michael Arad stand in front of the church in Charleston, S.C. Darby is helping lead efforts to fundraise for the memorial, which Arad is designing.